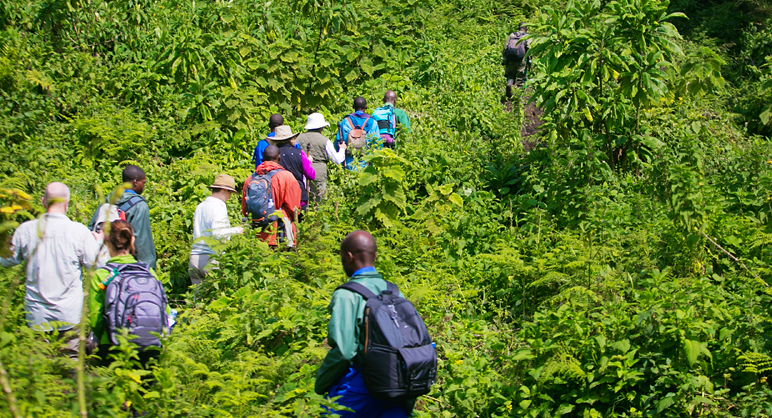 Who needs the regular safaris that we have become accustomed to when you can have a walking safari? Walking safaris have become a massive hit recently, and this is purely because of the opportunity that tourists have to come closer to the wild and interact more with the animals. For people who choose this option, it is set to become an unforgettable and exhilarating experience walking among big game. There are few destinations which specialize in walking safaris and we will show you where you can get the best out of walking safaris. The scenery surrounding this active volcano mountain in Tanzania is breathtaking. Visitors can take a walk from the neighboring campsites and take a walk to the nearby Lake Natron and the expansive Rift Valley. The local community, the Maasai, can also be found in this region grazing their cattle. There are many tour guide companies in this area which organize safari walk expeditions. Lewa is a conservancy located in the expansive plains of Laikipia in Kenya. Technically, the concept of safari walks is still not legal in Kenya's National Parks but can be done in some conservancies in the country. At Lewa, visitors are assured of a wide array of wild animals and on a good day might spot all of the big five at the Conservancy. Lewa also has one of the largest concentrations of the endangered black rhinoceros. You can enjoy a safari walk at Lewa under the guidance of their rangers. 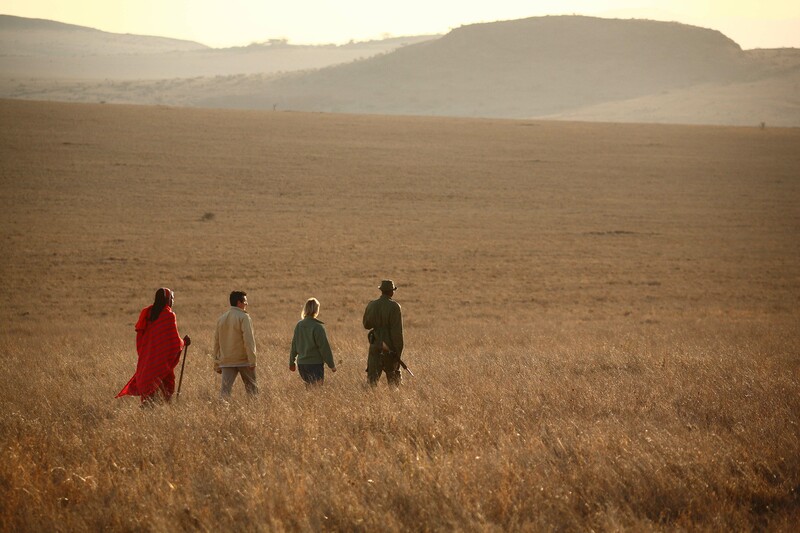 Wilderness Forest Walk at the Namunyak Conservancy in Kenya provides an unmatched opportunity in safari walking. Located in the sunny and dusty plateaus of Samburu, safari walkers can expect to see a lot of game under the guidance of the local Samburu guides. For accommodation, there are plenty of exclusive hotels nearby which will suit any budget. Visitors can expect to see animals like the elephant, buffalo and if lucky the leopard among others. If dense forests full of chimpanzees and waterfalls are your idea of a safari walk, the Mahale Mountains in Tanzania is a good bet. This has the largest concentration of chimps in the world which makes the safari even more interesting. It is advisable to visit the Mahale Mountains during the dry season since the times the track can be impassable. There are generous, thatched-style hotels nearby for accommodation. Plan your Tanzania holiday right now. Rwanda is not renown for its wildlife but there are lot of amazing places to explore in that country. One such place is the Volcanoes National Park famous for its gorillas and monkeys. 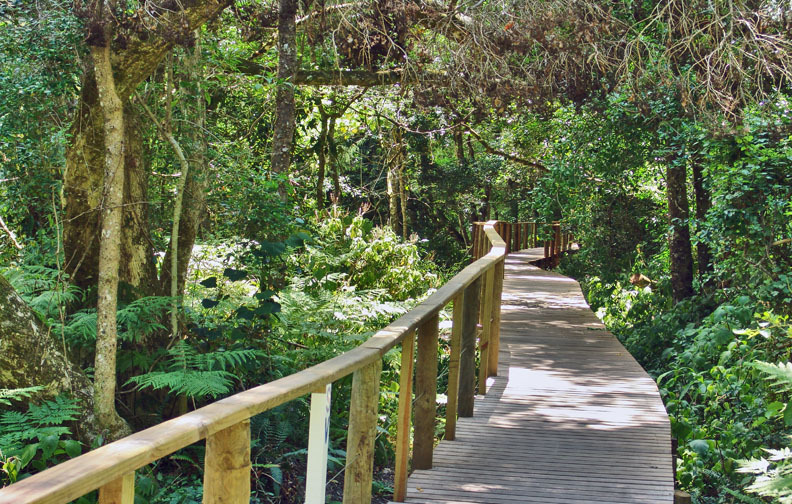 Safari walk is well catered for in the nature trails inside the park. Tracking the primates makes the excursion more fun and memorable.